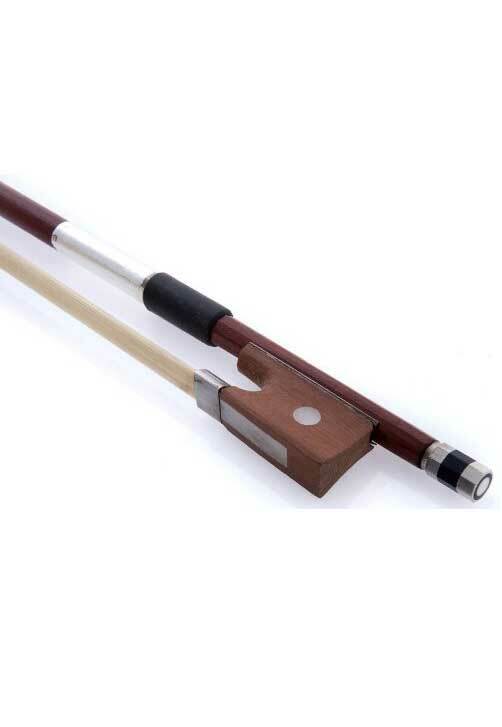 D'Luca Student Brazilwood Beginner Level Horsehair Viola Bow 12"
Shop here for Orchestra Instruments here & save time and money! This viola bow is a must for the beginning player! It is made of Brazil wood and features a Rosewood frog with unbleached genuine horsehair. This bow makes a wonderful gift or a unique stocking stuffer! Product Details: Equipped with genuine white unbleached horsehair, Rosewood frog, Nickel-silver grip, Quality fittings, Proper balance for quick response and resiliency. NOTE: Colors of Bow frog, tip, etc. may vary.